For years, NetworX has provided leading security solutions for homes of all sizes. The NetworX control panel is at the center of a scalable system that can easily expand as security requirements change. Interlogix’ entire line of control panels, including the Simon XTi, Simon XT and Two-Way Talking Touch Screen, install quickly and feature user-friendly controls for total security and ease of operation. Simple to install and use, NetworX keypads feature clear displays for at-a-glance system status.Dedicated emergency keys contact fire, police or EMS at the touch of a button NetworX allows a home to be divided into zones of protection, each covered by specific sensors and detectors. 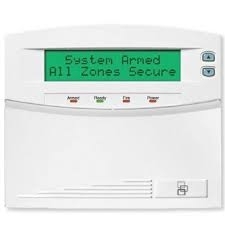 If an alarm is triggered, the system displays the type of alarm activated and which area is affected.